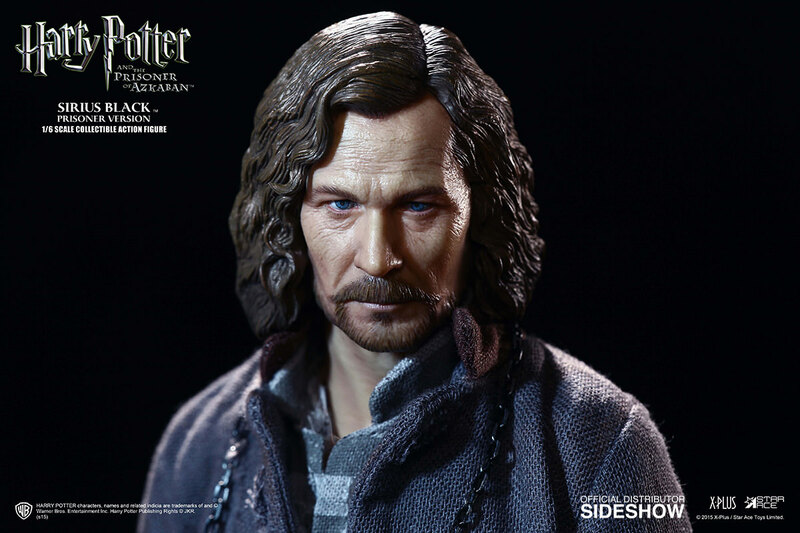 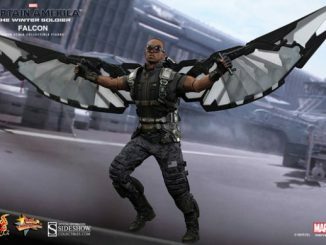 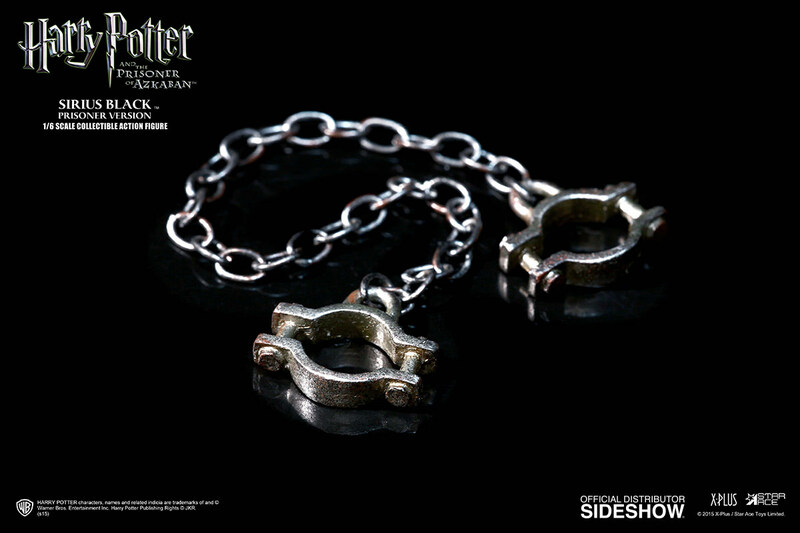 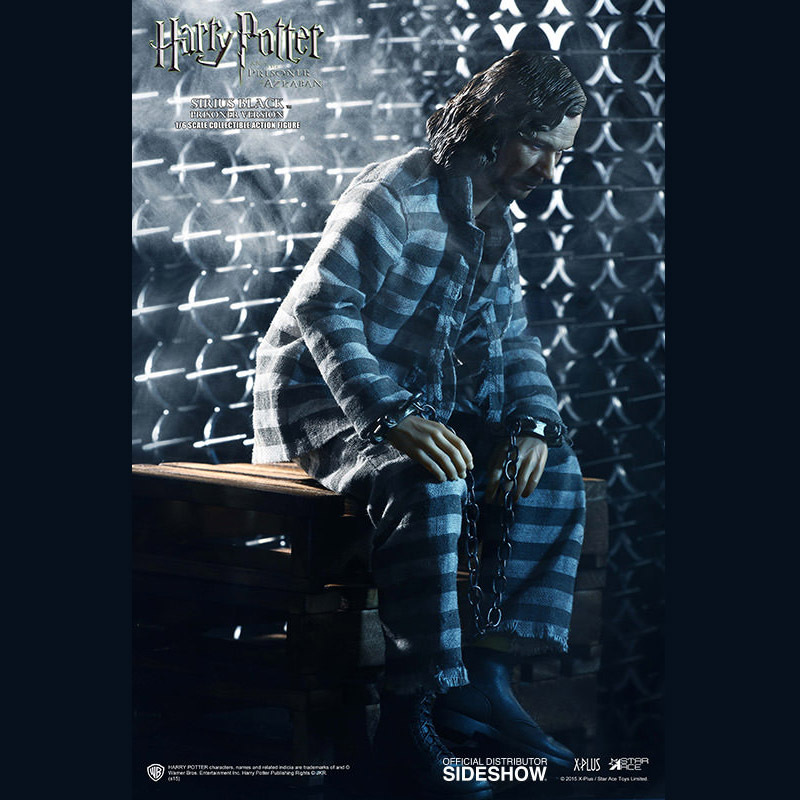 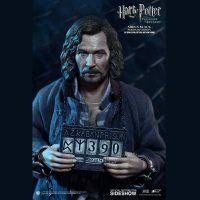 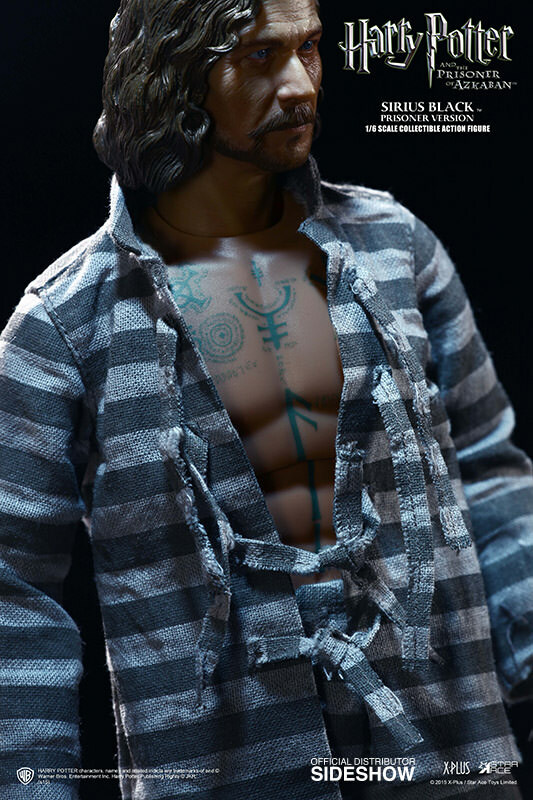 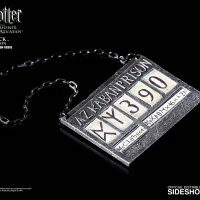 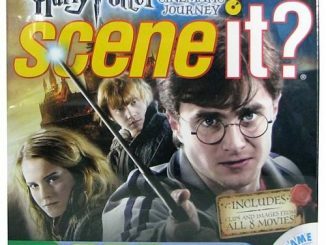 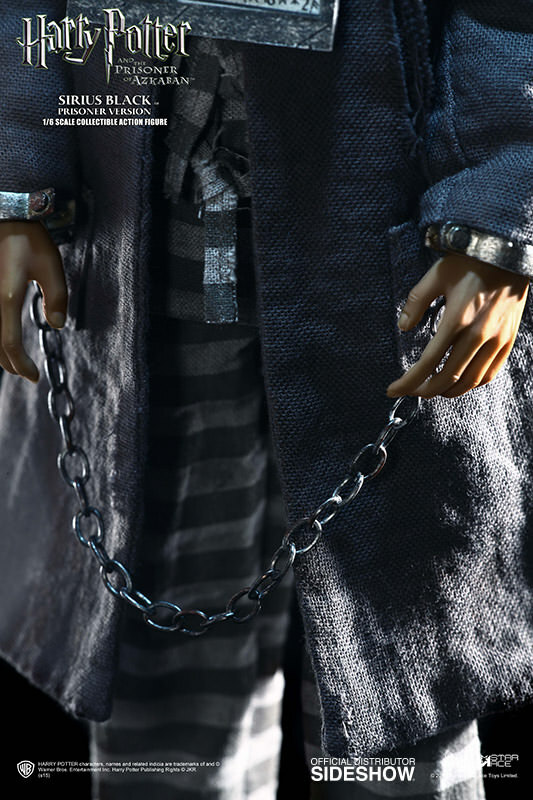 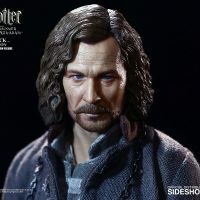 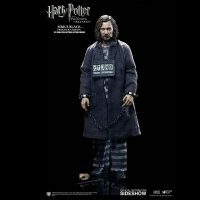 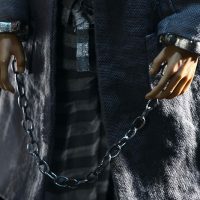 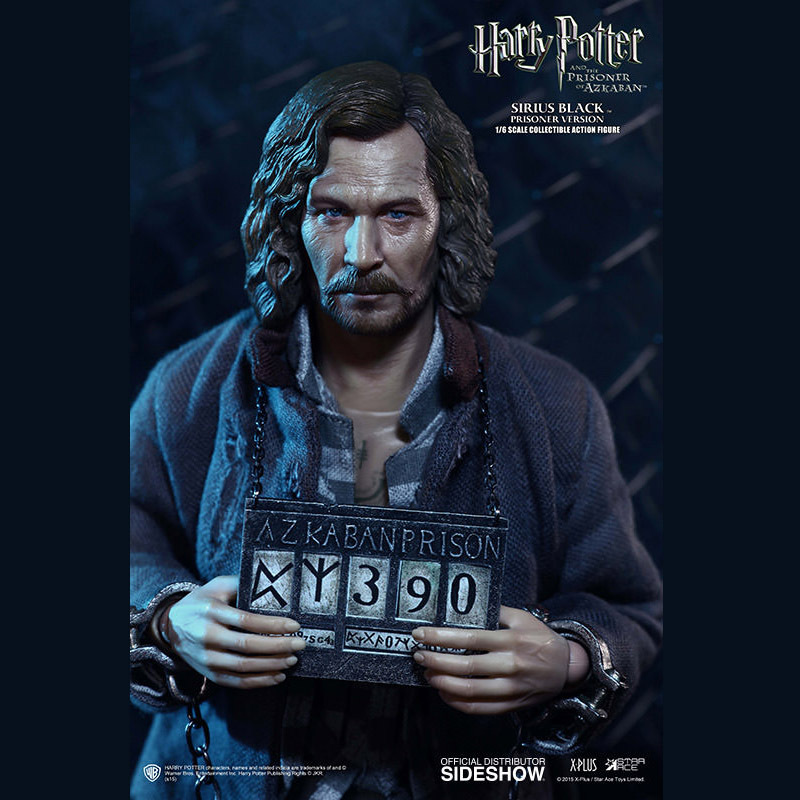 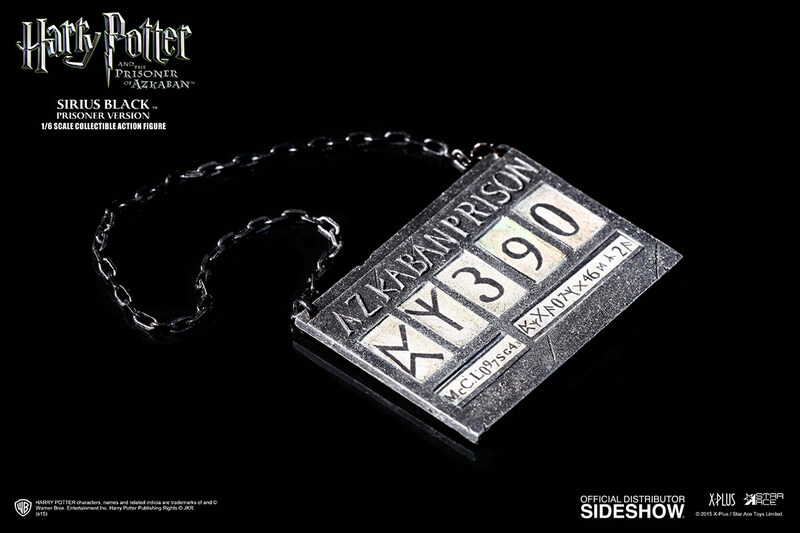 The Sirius Black Prisoner Version Sixth-Scale Figure features Harry Potter’s uncle during a dark time in his life, when he was surrounded by Dementors in Azkaban Prison. 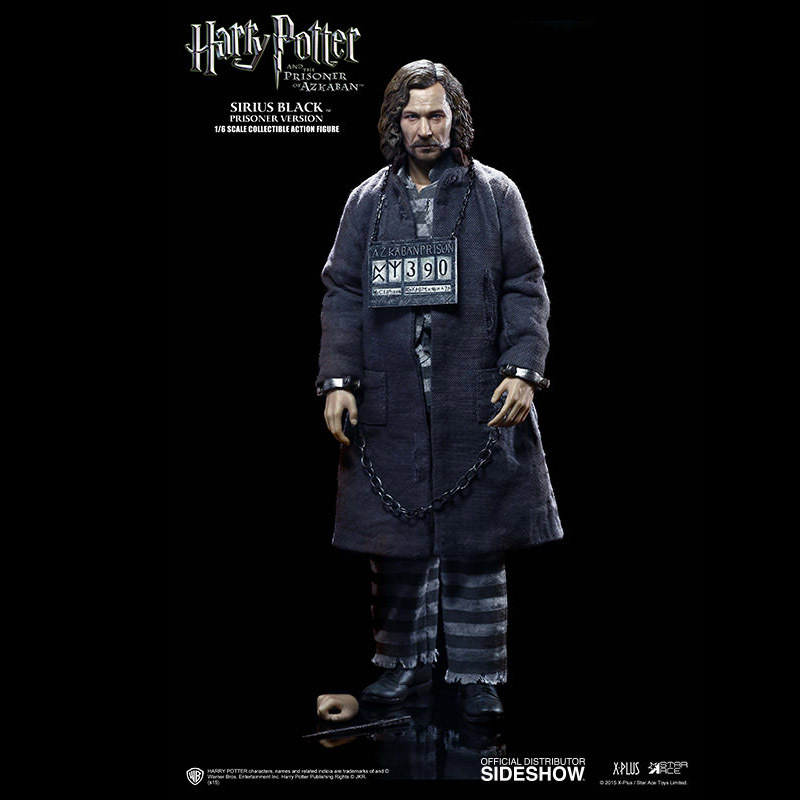 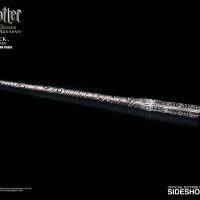 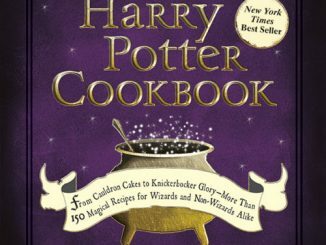 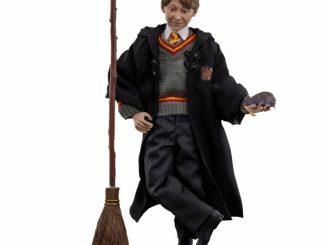 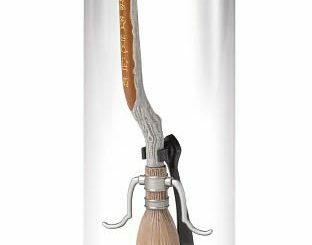 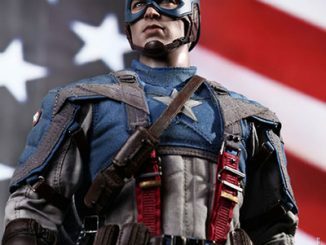 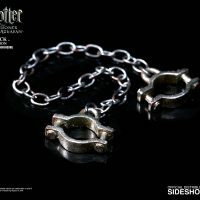 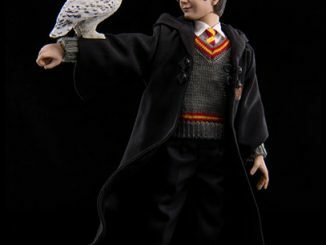 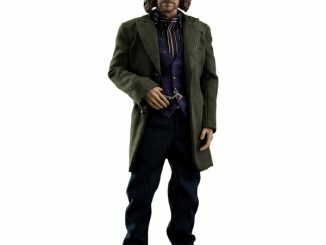 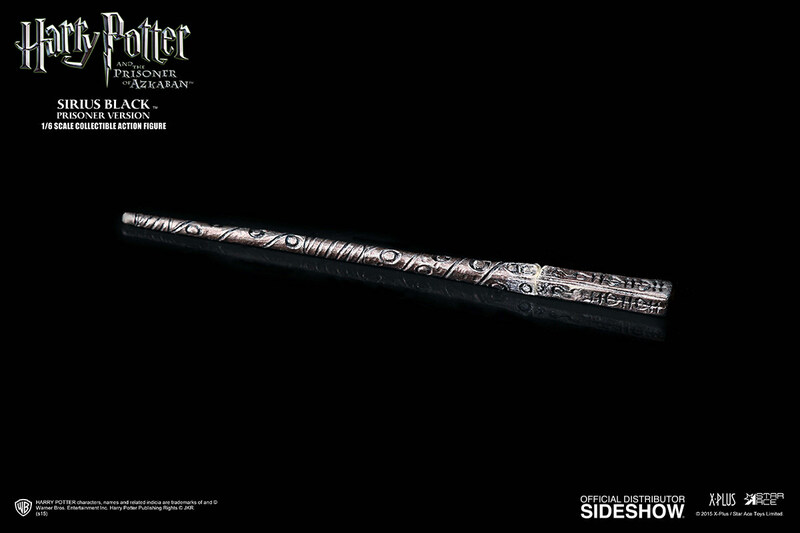 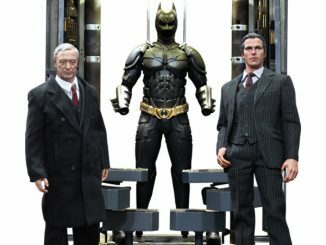 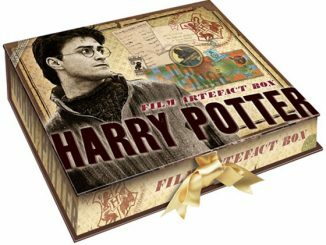 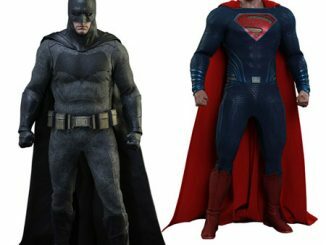 Standing 11.81-inches-tall, the figure is based on Gary Oldman’s portrayal of Sirius in Harry Potter and the Prisoner of Azkaban. 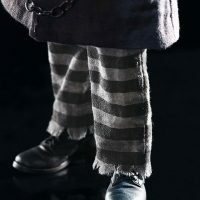 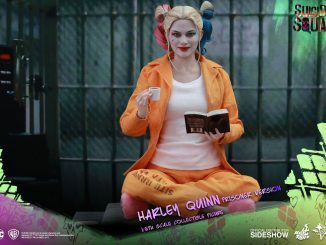 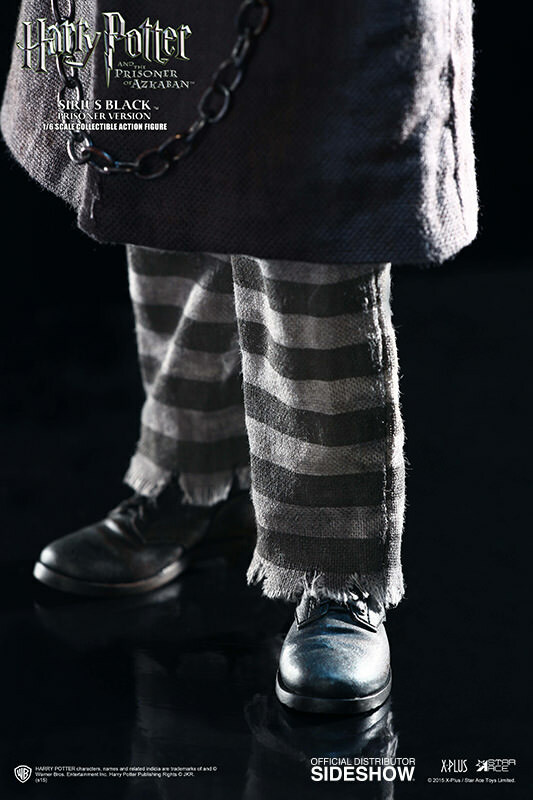 He comes with a very stylish wardrobe… if black and grey stripes are your thing, and little goodies like handcuffs and a prisoner’s ID tag to help keep him entertained behind bars. 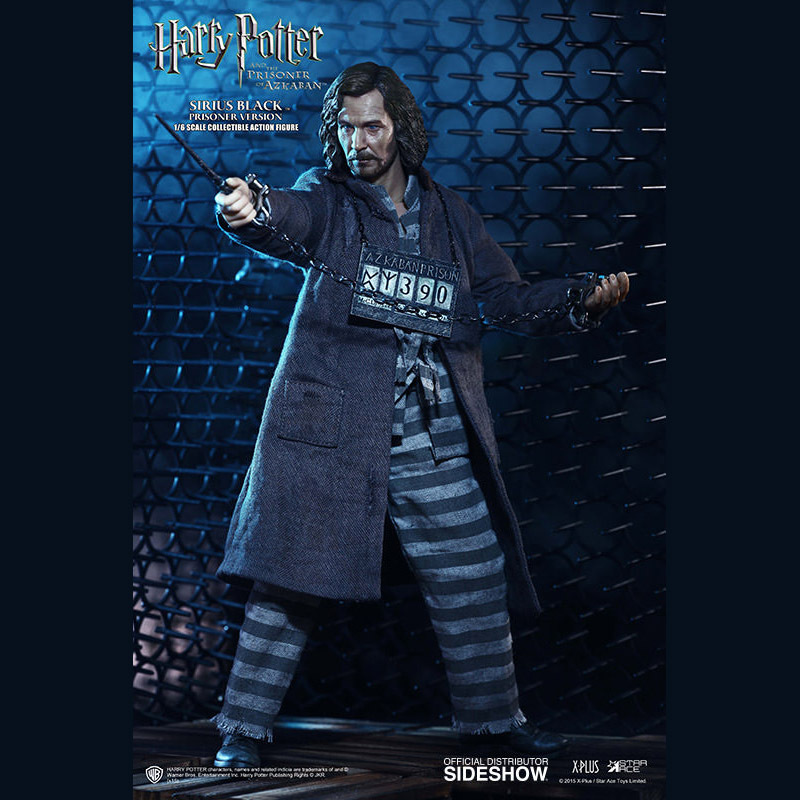 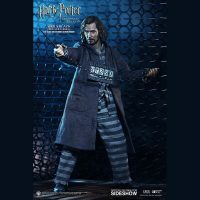 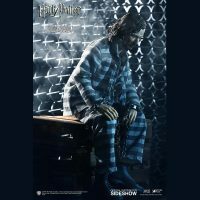 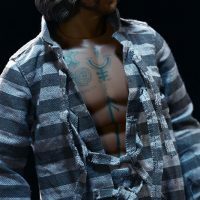 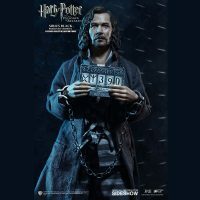 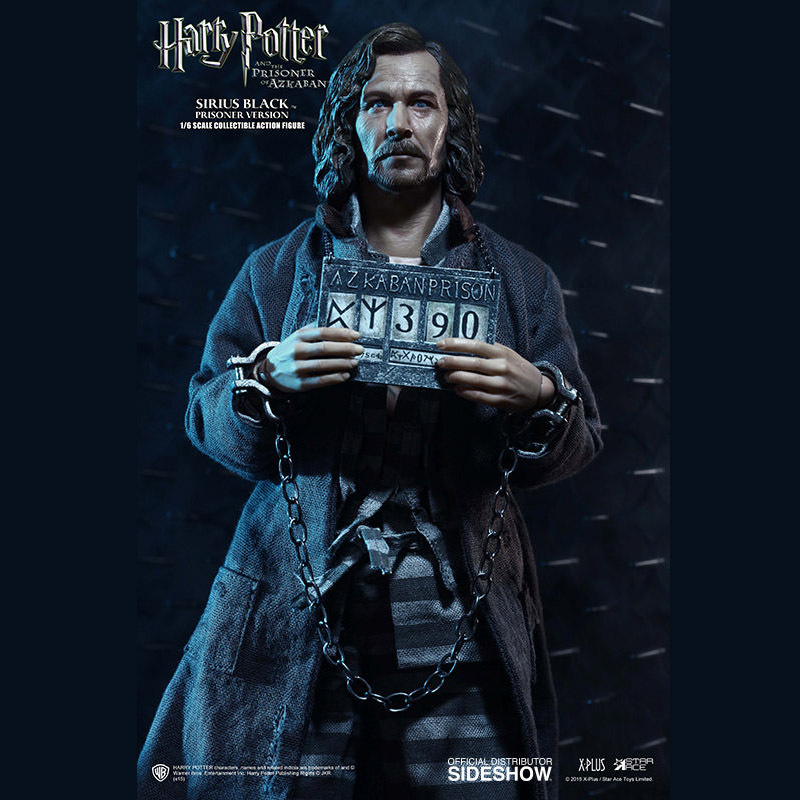 The Sirius Black Prisoner Version Sixth-Scale Figure will be available Sep 2015 – Nov 2015 but it can be pre-ordered now for $189.99 at Sideshow Collectibles.